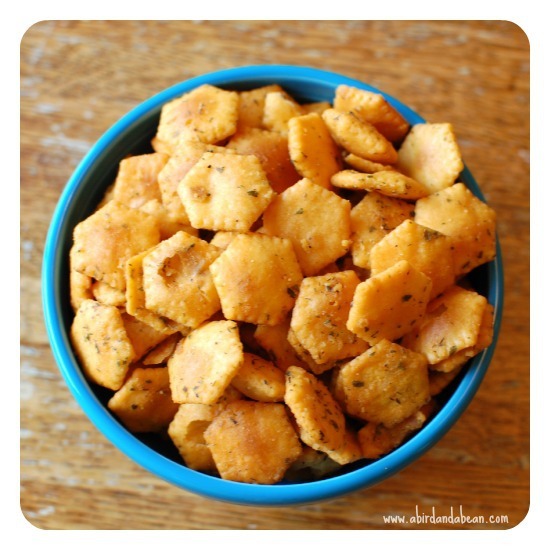 Have you ever had those yummy little ranch crackers? You know the ones, made out of oyster crackers? 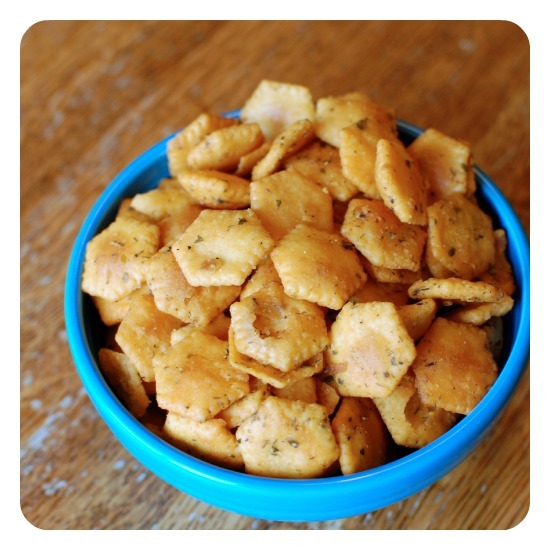 Like Chex Mix, kind of. (For some reason they’re always around the teacher’s lounge and office parties at Christmas time.) They’re so good. They’re an addicting little snack. I love buffalo sauce. Really L.O.V.E. it. I know lots of people share my sentiment I once had a friend who said she would eat a stick from the yard if it had buffalo sauce on it. I feel the same way. I thought ….. I wonder what would happen if I combined those two things, ranch cracker and buffalo sauce. Hum. Buffalo stuff goes great with ranch, so it seemed only natural. Well, it was a GREAT idea. You must try these! 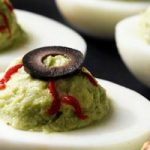 They are an easy snack for any party or cookout or get together. Spicy, but not too spicy. A nice little kick. 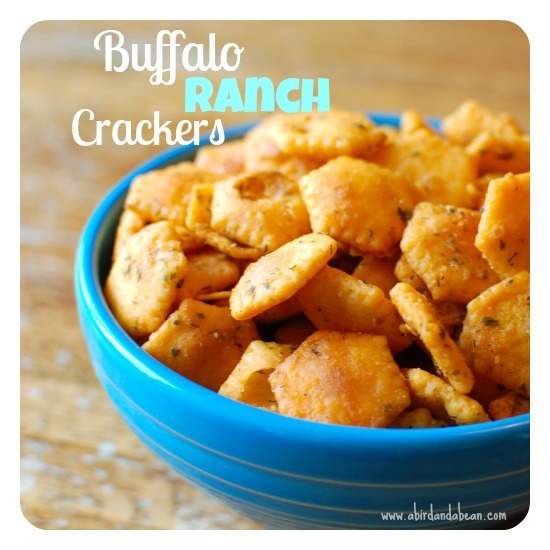 You get the full buffalo flavor without deep frying anything! Oh yeah. You could even pack them up in a pretty glass jar as Father’s Day gifts. Smart!! 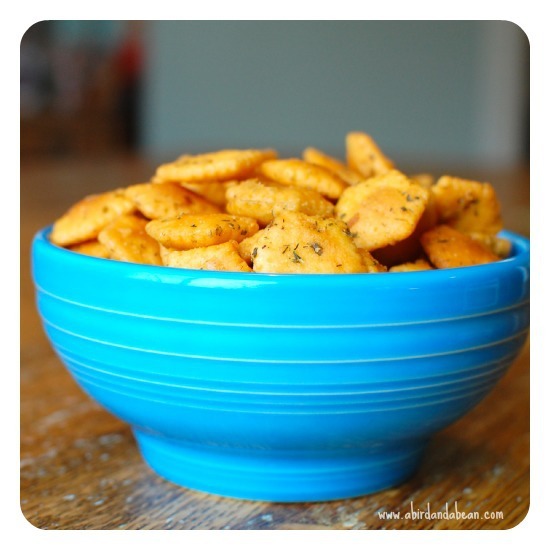 In a large mixing bowl, combine ranch mix, butter, hot sauce and salt, pepper and dill. Mix well. Stir in oyster crackers mix to coat. 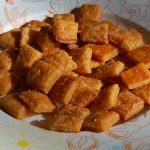 Pour crackers onto a large cookie sheet. Cool and store in a covered container. Eat ’em up! I am impressed by the creativity and inventiveness. 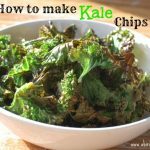 I am certainly going to make them (minus the dill I do not like) and serve them at our upcoming First Communion party. What a great idea! Much more sophisticated than the fried Cheerios my mother used to make as a snack. And I can control the heat – which in our house means MORE! Oh, my! I can’t wait to try. 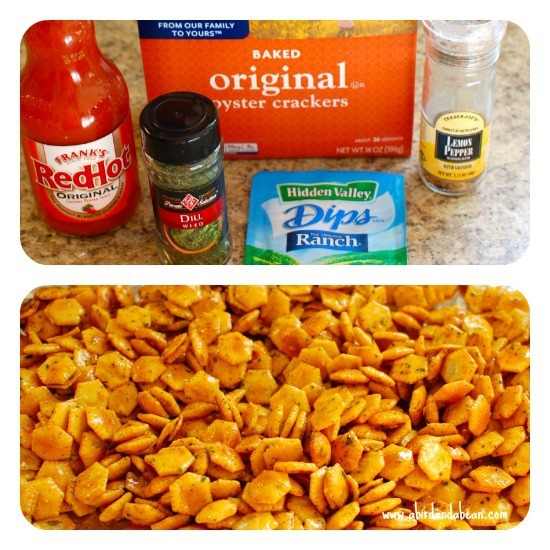 I made something similar over Christmas called Crack Crackers (only missing the buffalo sauce). We are big buffalo sauce fans around here, so these will be a hit. 1/4 cup??? Of hot sauce ? so sorry! Yes. 1/4 cup of buffalo sauce. (I used Franks.) If you use hot sauce instead of buffalo sauce I would use less. stumbled across this by clicking something else on pinterest. Have a batch in the oven right now! I used the new Franks Red Hot with Lime and I am drooling as they bake…thanks for the recipe! OH MY! I didn’t even know Frank’s with lime. HOLY COW! Those are my favorite things. Thanks. These look awesome! I love almost anything that has buffalo seasoned.Just one question, how much butter? 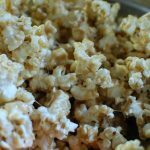 The recipe only says 1/4 melted butter… Thanks for the recipe! Oh man. 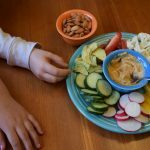 I am so glad you are looking at this recipe. It really is one of my favorites!! I actually just used Kroger brand and they are great. Yay… thank you! 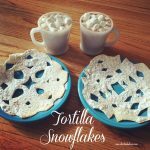 We always have soups and snackies on Christmas Eve, so I’m thinking these will be perfect! Is the ranch package a 1 oz. or a 10 oz? I am going to assume it’s a 1oz. How many ounces of crackers are in your box or bag? I’m sorry. I don’t have any in my pantry to check. But, it was just a normal sized box. Like a cheese-it box. 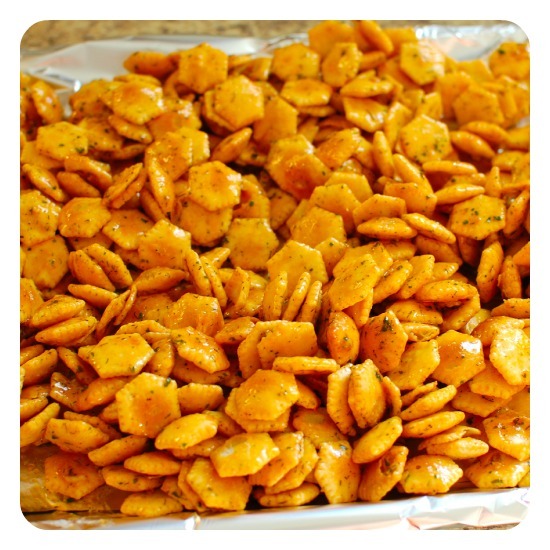 Wondered if you could use 5 ozs oyster crackers and 5 ozs of the baked Goldfish snack crackers? Oh what a great idea. Yes, that would be a nice mix. Thank you! I will give it a try sometime in the near future.